We all have voices in our head. Some cause us to doubt. Others help us cope. Some are abusive, while others help us see a new lens in life. Some voices are liars that filter information to steer away from truth. Who are you listening to? In my job, I get to listen to the toxic voices and see the way they drive behavior. A client with shame issues hears she will never be good enough. She believes the voice and sabotages any possibility of success. There’s one who listens to the voice of abandonment who filters every interaction through the lens of rejection. He is lonely and feels unloved even when someone shows him love. He rejects the possibility of connection for fear that if he has it, he will feel the pain of losing it. So he prevents it from ever happening. The voice of fear is a loud one. It seems to scream at so many people causing them to think of catastrophe and to become paralyzed by the possibility of the ‘what if’. The ones who listen to this voice try to control all they can in order to prevent the worse case scenario, but they miss the fact that fear is their master and their control is only an illusion. We all are susceptible to listening to and believing the lying voices in our heads. Who are you listening to? If you are buying the lies in your head, it’s time to fight back and listen to voices of truth. Here’s some steps to fighting the lying voices. Do you test information before believing it? Take a good hard look and really discern if what you’re believing is true. If it’s a lie, discard it. Why would you believe a lie? 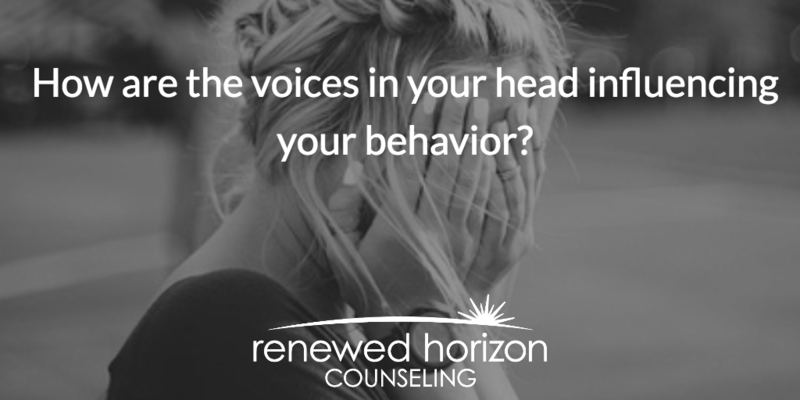 Sometimes the voices in your head lose their power when you say the messages you hear out loud. You’re more likely to “hear” the lie when you confess the struggle to someone else. If it’s too much to share it with someone else, grab a pen and paper. When you see the lie exposed on paper, you realize how faulty the belief is and can discard it quicker. Some people try to handle this on their own and can shatter the lies, others struggle to overcome and can’t quiet the voices. There’s no shame in sitting down with a counselor to talk through the struggles and learn specific tools to fight back. When lies are overwhelming your thoughts, you have to saturate your thinking with THE Truth. Does this thought align with what God’s Word says? If not, declare the thought as a lie and discard it. When you overwhelm your thoughts with what God says is true, it naturally fights the lying thoughts. More time invested in what God says it true is building up your immunity to succumbing to the lying voices. We all have lying voices that play on repeat in our heads. It’s time to stop giving them so much time in your thoughts by putting up a fight.